My kids love Brown Bear, Brown Bear, What Do You See? 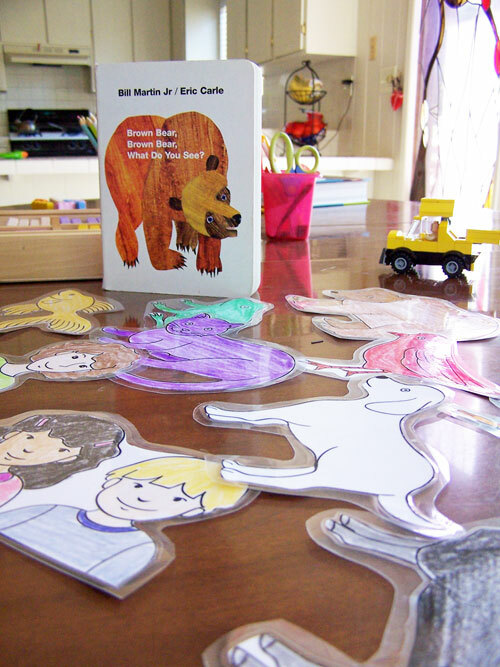 I compiled some fun Brown Bear, Brown Bear activities for them to do to go along with the book. We love reading this book. The boys would recite it to each other (with the animals all mixed up, of course). 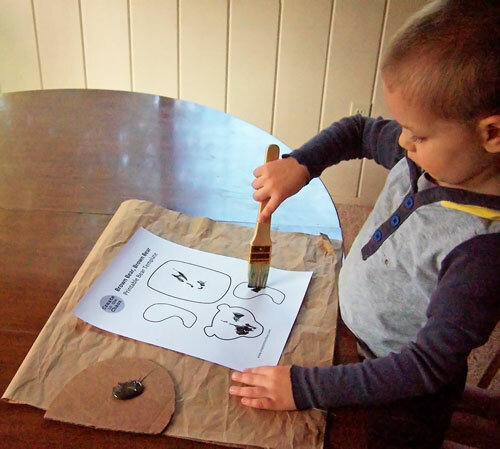 They would change it up – “Brown bear, brown bear, what do you see? I see a Sean-Sean looking at me!” And then erupt into giggles. It was pretty adorable. 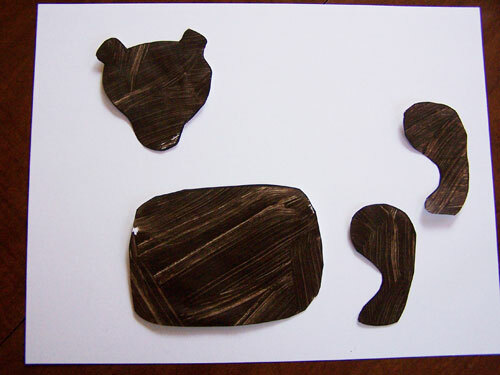 I found a great set of Brown Bear, Brown Bear printable props here. There are a lot of great printables for other classic kids book on that site also. I printed, colored, and laminated the pieces. We used them to play with as I read the book this summer (you might remember that the blue horse joined the dinosaurs we had here). I pulled them back out to do some more activities with Brown Bear, Brown Bear. 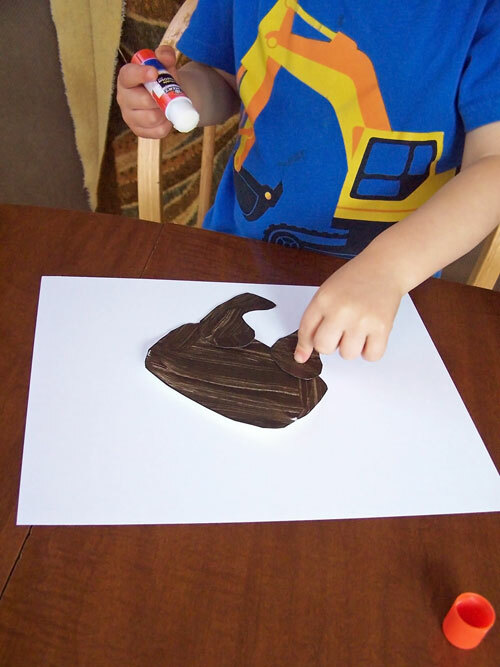 We also did some of the activities from 1+1+1=1’s printable tot pack for Brown Bear, Brown Bear. 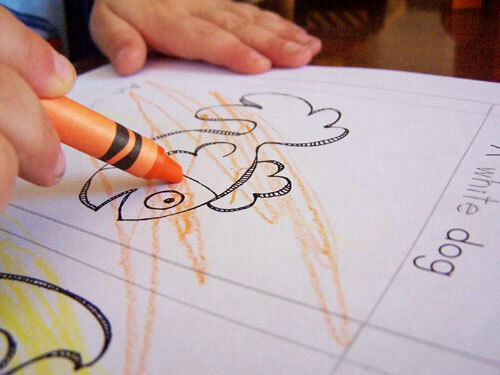 My kid’s favorite activity from these packs is always the roll and graph. I also printed two little booklets for them to color. 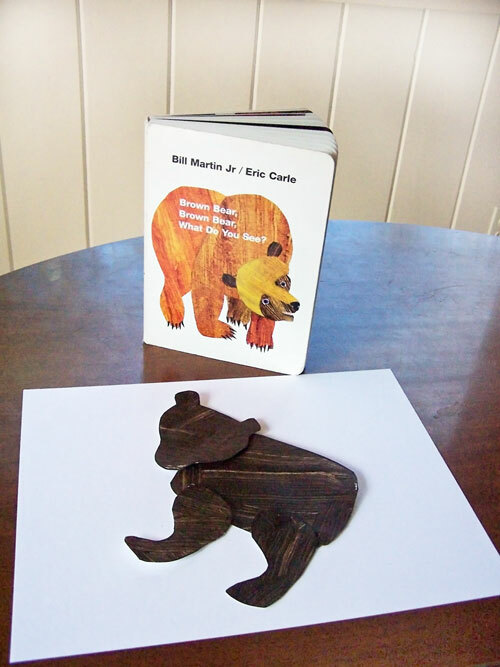 I also made my own bear printable for the boys to be able to put together their own bear. Print off the template for the bear here. 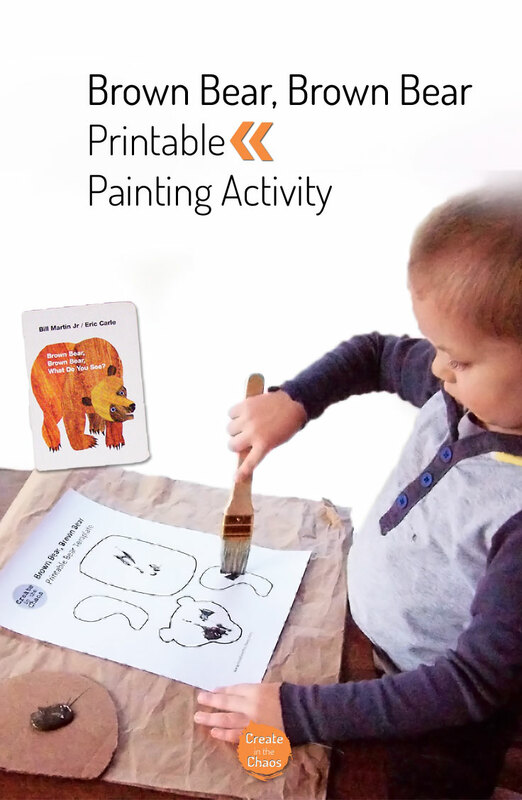 Have your child paint the bear. One great thing about this project is it doesn’t matter how messy the paint gets since the bear will be getting cut out anyway. Let it dry. Once the bear is dry, cut out the pieces. 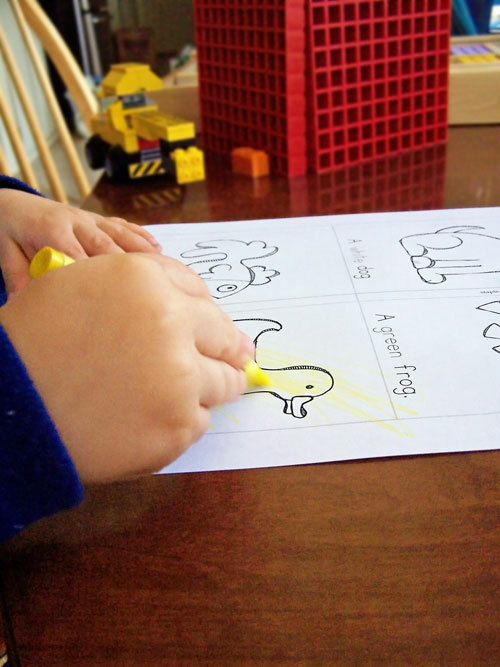 Glue them down on a new piece of paper to put together the bear. 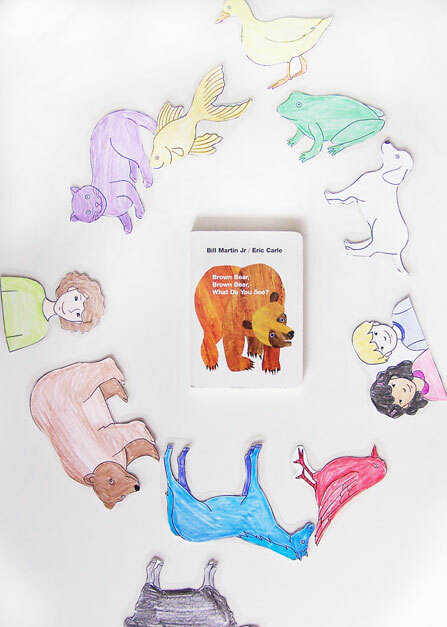 Do your kids enjoy Brown Bear, Brown Bear? Have any other fun activities you’ve done for this book?